Facebook vowed this week to make its privacy settings easier to find and use as controversy continues to swirl around the platform’s protection of user data. This move comes in the wake of the scandal that saw personal information from tens of millions of Facebook users fall into the hands of political consultants. Facebook has faced a storm of global criticism following these revelations; its stock price has tumbled, the FTC has opened an inquiry, and Mark Zuckerberg himself has vowed to testify before Congress. In other words, Facebook picked a pretty opportune time to redesign its privacy settings. With the changes, Facebook redesigned its mobile menu to make things easier to find, and also introduced a new Privacy Shortcuts menu. 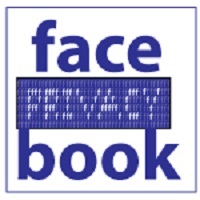 The site also made it easier to find, download and see the information that Facebook possesses about you. Facebook can’t put the genie back in the bottle when it comes to this raging controversy, but even little improvements to its privacy rules are a good thing for users.